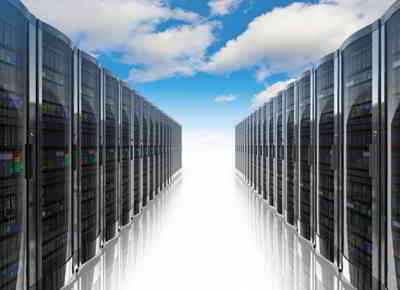 Home » Web hosting » What is A VPS Hosting? A Virtual Private Server or VPS is identical to a dedicated hosting server with the only difference that it is a more affordable option for small businesses who are just starting out with their online business. For any firm which gets a decent amount of visitors & serves dynamic content, a virtual private server hosting is an ideal option. Since you aren’t required to look after your individual server, the expenses related to the IT staff along with other operational expenses for connectivity & power are reduced. This results in more revenues for the company. This way, you are able to pass the benefits towards your consumers in the form of reasonable service or product charges & gain a huge advantage over your competitors on the web. You can also scale up the VPS depending on the requirements of your online business. Typically, a hosting company will let you to pick a configuration for the virtual private server as well as the features that you want along with the service. In addition, you could replace the hard drives whenever you want without requiring to reboot or shut down the server. Besides, you acquire an entire root access to your website server. A variety of options are offered to VPS consumers, including the ability to build your individual VPS to have a total control over your server configuration as well as the installation of your preferred software’s that have specific settings for the security of your site. You are able to pick the OS, host several sites & customize the bandwidth that every single website receives. You VPS company can also offer steady backups for the sites with all the files, databases & emails. Hence, you do not need to worry in regards to the backups & other security settings for your site(s). It’s easily possible to retrieve all the data if you lose it by mistake. Another advantage with a VPS server is that you are able to maintain the server by yourself or allow the hosting company to do that for you. In case you want to look after your own server then you could opt for unmanaged hosting. On the other hand, if you wish the hosting company to look after of your server, then managed hosting is a perfect choice for you. Also, there is an option for semi managed hosting in which you are required to upkeep & maintain your server whereas your servicer provider looks after all the issues associated with hardware & networking.